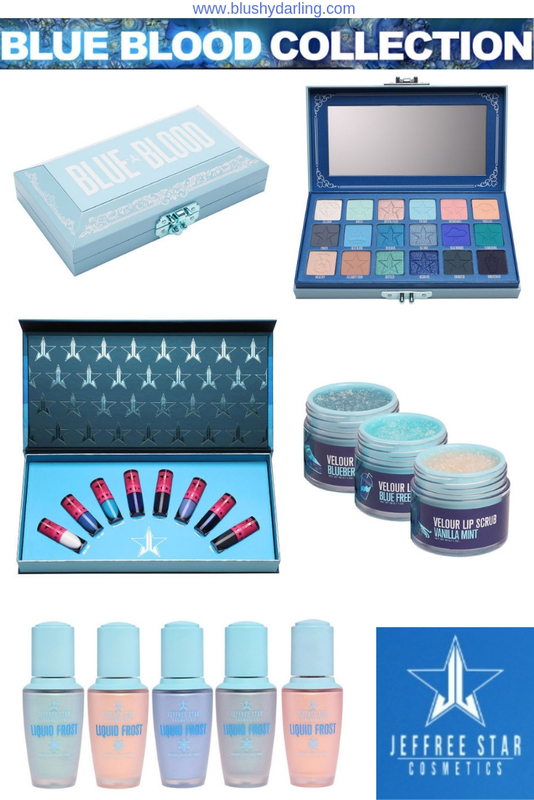 In today’s post Julia and I are going to chat about the NEW Jeffree Star Cosmetics Blue Blood Collection. 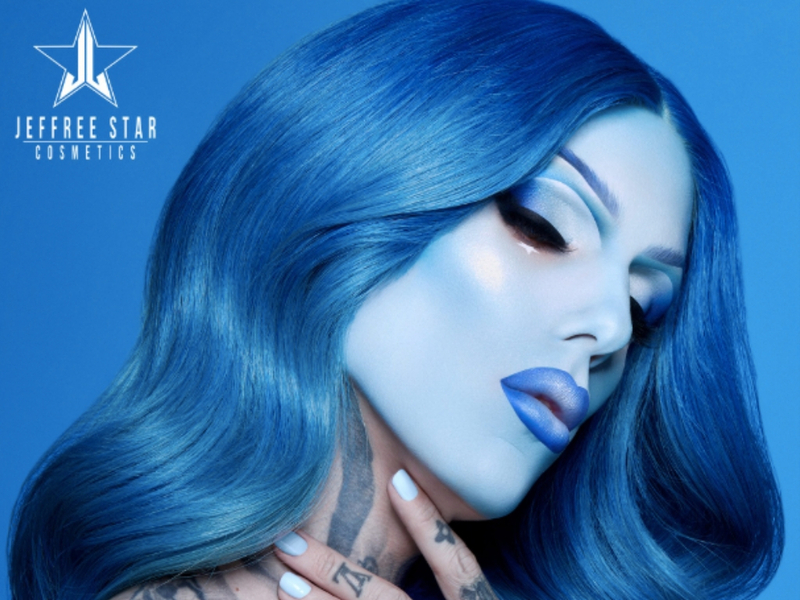 Jeffree Star doesn’t follow trends – HE CREATES them, so I’m sure that blue is going to be the colour of the season. 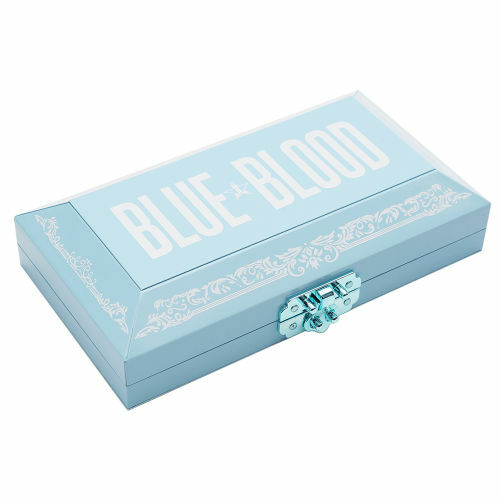 The Blue Blood collection includes an eyeshadow palette, a mini lipstick bundle, three lip scrubs, and five liquid highlighters. 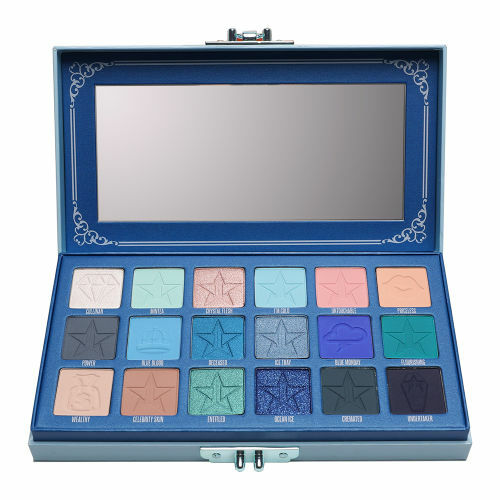 Mimi: I really don’t like blue on me, but hell if this palette is not beautiful! I love the range of shades, but the packaging is a bit too bulky for my tastes. I won’t get it only because I know I won’t use it to its full potential. Julia: This palette is my dream. Literally, I dreamed that someone out there would make a whole blue palette. I love it. I don’t like the packaging, it’s too big but I would buy it. Mimi: First off, I love the shade names. Second, I got the shade Blue Balls. I can’t wait to try it. Julia: I have one shade, so I know I like the formula. These colours are pretty, but I don’t think I’d wear them. Mimi: I don’t need nine blue lipsticks. 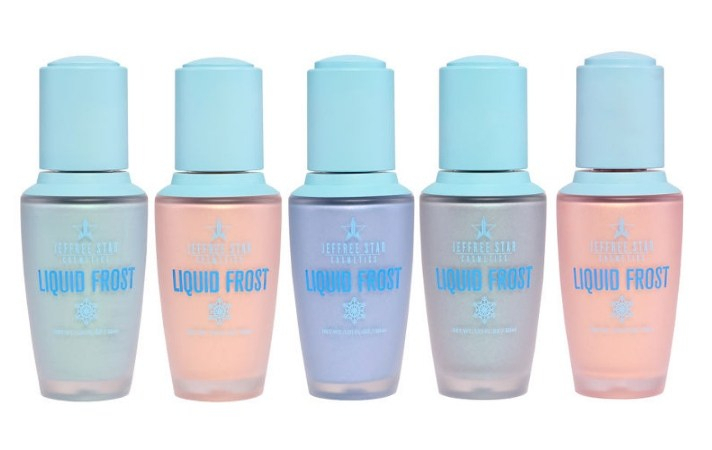 Some of the shades are pretty and since their liquid lipsticks are eye safe, I’d probably use them as an eyeliner – but in that case, I might as well buy a blue liner. Julia: They are pretty, but I don’t wear blue lipsticks. 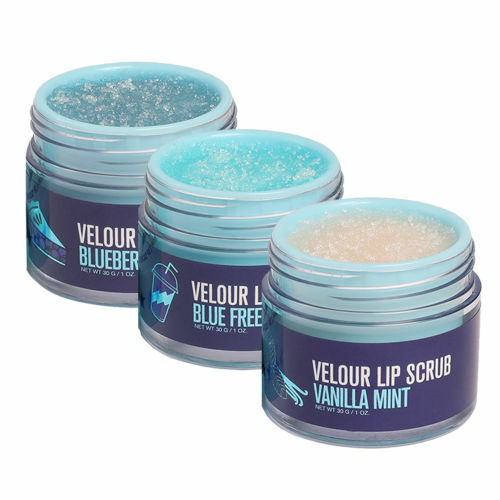 Mimi: The scents sound yummy, but they are far too pricey for what they are, and you can easily make a lip scrub at home with sugar and honey. Julia: I don’t like them; they are so not necessary. I can make lip scrub at home with sugar and honey. Questa tavolozza è decisamente audace e di tendenza, ma probabilmente non la userei quasi mai per essere onesta! Non sono sicuro che il blu sia adatto a me. E la confezione è troppo voluminosa. Sto aspettando di vedere se Jeffree farà uscire mini tavolozze come Huda Beauty, perché allora mi piacerebbe davvero assaggiare la sua formula. La sua roba sembra così divertente, ma non ho un posto dove riporre una tavolozza grande e voluminosa. Forse un mini di ognuna delle sue tavolozze più grandi con le sfumature 5-8 - oh, mi piacerebbe vederlo! omgomgomg 💙 le tonalità sono così splendide, un pò mi fa desiderare di essere un tipo di ombretto blu di persona. anche se mi piacerebbe davvero poter ottenere uno dei Rossetti perchè penso che sarebbe divertente provare e tirare fuori! COME SEMPRE, mi è piaciuto molto post! Adoro queste piccole recensioni. E quella tavolozza è bellissima! Amo tutto quel packaging, mi fa venir voglia di correre e di truccarmi! Recentemente ho iniziato a scrutare le labbra ... forse dovrei provare il mirtillo!